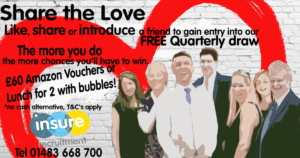 Share the love & be entered into our Quarterly Free Prize Draw! As Valentines Day approaches, Insure Recruitment are feeling the love for all of our contacts within the General Insurance & Financial Services industry. We have launched our Free Quarterly Prize Draw, all you need to do to enter is share the love for Insure Recruitment too! Please follow our Linkedin page, like, share or introduce a friend to Insure Recruitment for your chance to win! Our next draw will take place on Friday 29th March 2019 where we will announce one lucky winner! The more you do, the more chances you will have to win! 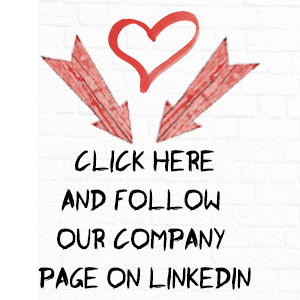 Please make sure you follow our page to receive Insure’s latest job posts and news within the General Insurance & Financial Services Industry.